Taking cues from the hiking packs of yesteryear, companies are realizing that simple construction, understated lines and quality materials make for one hell of a carry-all. The recent days of backpacks needing to be more technical than purposeful are behind us, making way for the silhouettes set forth by our fathers' favorite outdoors companies. One such company is Joshu +Vela out of San Francisco. 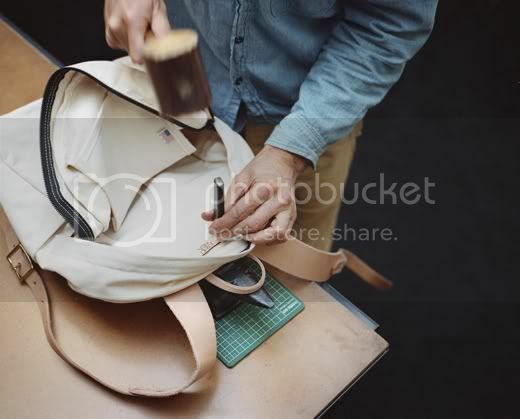 J+V bench-make their $275 bags, one at a time, using high quality, organic materials and offer them in a limited yet fulfilling variety of colors. Yes, they also make totes, but no company is perfect. Now if they'd just back those straps with some wool, we'd be in serious business.